Many happenings have taken place, or changed course, throughout my daily life over the past few months. Since university begin in September, it feels as if my body has been constantly flung about, dashing from place to place within the city. I’m seeing Amsterdam from an entirely new perspective as I visit previously unvisited buildings, park my bike at new new locations, visit cafes and restaurants that I’ve previously never even seen, but must certainly have passed hundreds of times. A new face of the city is within my sight. And I like that. New names are also something I’m working to remember, as new faces swoop into my life, what seems like every other day. What fun! To be around new people, new ideas–all the while in new places and spaces. One of these is one of the university’s first buildings in the city–the Oudemanhuispoort. I do not have classes there often, only twice thus far, but the few times I did this autumn, I walked through its vaulted, colonnaded passageway toward the entrance. The building houses the law school, and other classrooms. As I continued, autumn sunshine shone from above, the air warm, the leaves crisp–a suddenly feeling of wonder came over me. 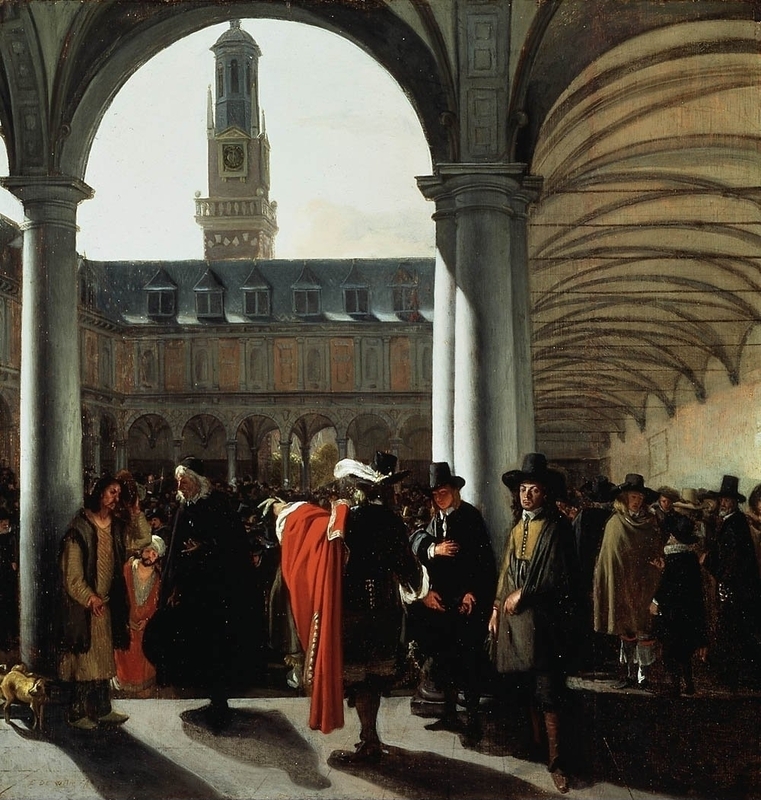 There I was, in a building from 1602 (the scene of which reminds me of this painting), at the University of Amsterdam. It was if I were walking through tradition, while walking down his passageway, in order to swath myself within it–I absorbed subsequent layers with every step I took. Or so I told myself; and so it felt. Being branded as a graduate of the University of Amsterdam is something I’ll forever uphold. And now, to graduate. ’Dutch Art’–my study is going well and the first semester of the academic year is nearly over. I’m learning everything there is to know about Dutch art, specifically its paintings, their history, alongside the many figures and ideas that come with the subject. There is much theory in painting, and I'm learning that art history itself is quite complex. Never did I expect to become an art historian–but it fits me like the most perfect piece of couture. Art history is at a crucial point within its historical trajectory; so many new fields and disciplines are combining in ways previously unseen, and the subject can’t ignore that. It’s not, either. And so much exciting brain research is being doing with images, and paintings. Much of art history is the history of art history–but it doesn’t have to be that way. What I’m learning about myself through my studies is that I am indeed a driven person. I’m determined and I have grit; I have confidence and I have presentation skills that shine, when I want them to. I’m also learning that–as I’ve known since grade school, as a child–my efforts are either totally behind something, or they are not. Luckily I feel, and I am learning, and seeing–through my studies–that I do have this extra stamina needed to raise my standard of output, creative, academic or otherwise, above average to above best. This ability is one that I previously bathed in. It's a quality I had lost over the years, since Amsterdam. My extra effort to put my own touch on the things I made, was somehow elusive. I'm finding it again. And because of that, our Christmas tree has never looked better than it does this year. Suddenly, my groove’s back. I even received the mark of a ten on my last paper–which, I understand, is quite the rarity. 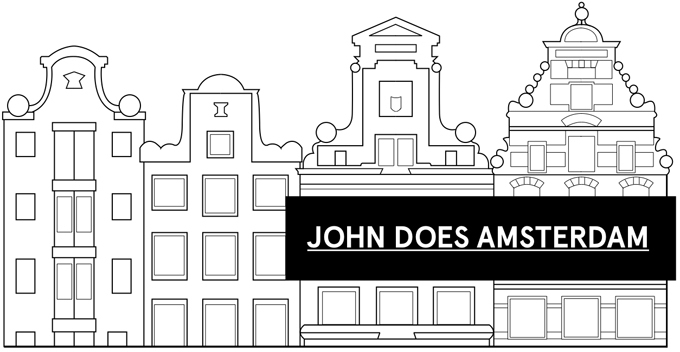 It's as if I've reconnected with a piece of myself that had been displaced, so that I could make room to absorb my new, Dutch identity. Luckily, that phase of my life here is now over, and what's left is room for me to create, and recombine. I've finally merged my former self with that of mine now. Thus far, the reasons I've made for myself, to become the person I want to be next, all feel right. I'm going to let that be my guide.